The structural safety of your home rests on its foundation. Without preventative foundation repair from a licensed contractor, you may find that your pier and beam foundation starts to shift or collapse over time. A team of concrete contractors near San Antonio can provide you with all of the repair and maintenance procedures that are needed to ensure that your foundation lasts for many decades into the future. Let’s review some tips for keeping your foundation in great condition. One of the best ways to stop minor foundation damage before it becomes serious is to regularly perform visual inspections of the exterior and interior of your home. When your foundation is experiencing structural issues, it may start to show signs of cracking in the walls or chipping. While minor cracks should not provide you with too much cause for concern, you should schedule immediate foundation repair if you start to notice large cracks forming in the walls on the exterior of your home. Water is one of your foundation’s worst enemies. During a major rainstorm, your foundation can experience serious damage if water is allowed to pool around its exterior. 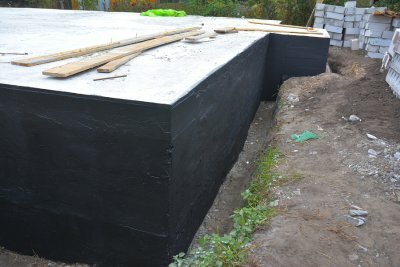 There are a couple of methods that you can use to improve the drainage around your foundation. First, you will want to make sure that your gutters and downspouts are functioning correctly. It may also be necessary for your contractor to build a special drainage solution around the perimeter of your foundation. Your foundation contractor will have special training that will allow him to easily detect when your foundation is starting to experience structural problems. To make certain that your foundation is in great condition, it is a terrific idea to set up foundation inspections every year or so. During the inspection process, your contractor will take note of any areas that look like they could be starting to weaken or break. If significant damage is detected, you can start on the repair process right away.